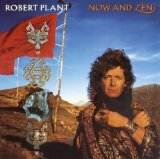 Now And Zen is ranked 8th best out of 12 albums by Robert Plant on BestEverAlbums.com. The best album by Robert Plant is Mighty ReArranger which is ranked number 3847 in the list of all-time albums with a total rank score of 470. Members who like this album also like: Freedom by Neil Young, Ride The Lightning by Metallica and Gold by ABBA. Related links: top tracks by Robert Planttop tracks of the 1980s, top tracks of 1988. Showing latest 5 ratings for this album. | Show all 64 ratings for this album. Best Robert Plant album by far, it's a shame it is ranked so low among is discography (With "Mighty rearranger" at number 1, which is arguably is weakest album (!)) Absolute delight tracks in "Ship of fools", "Why" or "The way I feel", and the rest of the album is pretty listenable too. A good album. Ship of fools, has got to be Robert Plant's greatest ever solo song. As for the album itself, it's a bit dated in parts, but decent enough. Wow,I'm the only person who has this on their chart.I like most of Plant's solo albums but this is my favorite.No really bad songs on it.Heaven Knows,Tall Cool One,& ship Of Fools are outstanding.The Way I Feel, Walking Towards Paradise,& Dance On My Own are also very good songs.